Ugliest: Danielle DeMarco (“Also known as “Dan the Man”) is enjoying her best school year ever – a new boyfriend she met at camp over summer and news that she’s made the Varsity Swim Team as a freshman - until “The List” changes Andrew’s behavior towards her, and she starts to feel shame about her athletic ability. Prettiest: Academically average Abby Warner (“Bonus points for overcoming family genetics”) has spent years in her smart sister Fern’s shadow, until “The List” puts her on the popularity radar…but at her sister’s expense. Ugliest – Candace Kincaid (“Beauty isn’t just skin-deep, btw”) has always been pretty and popular, until “The List” calls her out for her mean girl attitude, and her ‘supposed’ friends start to turn on her. Ugliest – Sarah Singer (“It’s like she’s trying to be as ugly as possible”) could give a rip what people think of her – well, except for her only friend and possible bf, Milo - but after making “The List,” Sarah decides to give the people what they want, writes ‘Ugly’ in black marker across her forehead, and refuses to the bathe or change clothes for the entire week leading up to Homecoming. If they want ugly, she’ll give ‘em UGLY!! Prettiest - Bridget Honeycutt (“What a difference a summer can make”) is easily considered to be the prettiest and most perfect girl in the Junior class by guys and girls, but when she looks in the mirror she only sees the fat on her upper arms, excess skin on her thighs and the way her stomach pooches out. Diets, cleanses, purges – if only she can keep this weight off until after the Homecoming Dance, she’ll go back to eating normal...something she’s been telling herself for months now. Ugliest – Jennifer Brigges (“The only four-peat in Mount Washington history! Congrats, Jennifer!”) made “The List” as Ugliest for the first time her freshman year and has made it on every year since. This year, some popular senior girls finally take pity on her and attempt a make-over, including a drive to get her elected as Homecoming Queen. But can this transformation of a long-time awkward ugly duckling take? The List is totally addictive. If you’re like me, you’ll be reading late into the night to see how things work out for each girl…expect your jaw to drop when you find out who is behind this list! Vivian is no sell-out either – don’t expect everyone to rise above, join hands and sing ‘Kumbaya’ before speaking out on what an unjust and cruel tradition this is, because guess what – as unjust and cruel as it is, it’s soooooo very high school!! Seriously, this should be required reading for girls. I plan to make it a book club selection at my school and look forward to addressing the many issues about beauty and self-worth brought out in the book with other readers. 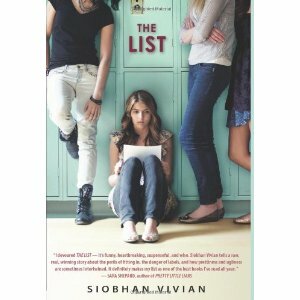 Siobhan Vivian is another author who will be at this November’s YallFest (yes, I will be tracking her down for an auto and some fangirl gushing!). 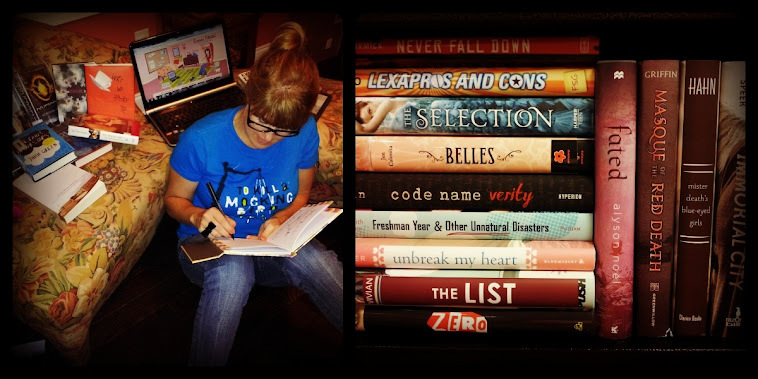 You can learn more about her, The List, and her other fab books at http://www.siobhanvivian.com/Hello/Home.html .